Iridium Silver Metallic exterior and Grey interior, ML 350 trim. Heated Seats, Sunroof, Multi-CD Changer, iPod/MP3 Input, Onboard Communications System, Dual Zone A/C, Smart Device Integration, KEYLESS GO®, BRUSHED ALUMINUM RUNNING BOARDS, PARKTRONIC W/ACTIVE PARKING ASSIST, Power Liftgate, 4MATIC® all-wheel drive, Alloy Wheels. CLICK NOW! KEY FEATURES INCLUDE Sunroof, 4MATIC® all-wheel drive, Power Liftgate, Heated Driver Seat, iPod/MP3 Input, Multi-CD Changer, Onboard Communications System, Aluminum Wheels, Dual Zone A/C, Smart Device Integration, Heated Seats. Rear Spoiler, MP3 Player, Remote Trunk Release, Privacy Glass, Steering Wheel Controls. OPTION PACKAGES PARKTRONIC W/ACTIVE PARKING ASSIST, BRUSHED ALUMINUM RUNNING BOARDS, KEYLESS GO®. Mercedes-Benz ML 350 with Iridium Silver Metallic exterior and Grey interior features a V6 Cylinder Engine with 302 HP at 6500 RPM*. EXPERTS REPORT Edmunds.com's review says The 2012 Mercedes-Benz M-Class sees plenty of key improvements, notably in performance, fuel efficiency and cabin ambience that should keep it fully competitive in the luxury SUV game.. VISIT US TODAY Welcome to Mercedes-Benz of Colorado Springs. Thank you for taking a moment to view this vehicle. We are one click away for a live chat, send an email, call or visit in person. Whether you are visiting to gather information, search for a new or pre-owned vehicle, we hope to provide the highest level of assistance. Please feel free to request additional information or set up an appointment. We're here to make your shopping simple. Pricing analysis performed on 4/5/2019. Horsepower calculations based on trim engine configuration. Please confirm the accuracy of the included equipment by calling us prior to purchase. Offer is valid through 2019-04-25.Iridium Silver Metallic exterior and Grey interior, ML 350 trim. Heated Seats, Sunroof, Multi-CD Changer, iPod/MP3 Input, Onboard Communications System, Dual Zone A/C, Smart Device Integration, KEYLESS GO®, BRUSHED ALUMINUM RUNNING BOARDS, PARKTRONIC W/ACTIVE PARKING ASSIST, Power Liftgate, 4MATIC® all-wheel drive, Alloy Wheels. CLICK NOW! Sunroof, 4MATIC® all-wheel drive, Power Liftgate, Heated Driver Seat, iPod/MP3 Input, Multi-CD Changer, Onboard Communications System, Aluminum Wheels, Dual Zone A/C, Smart Device Integration, Heated Seats. Rear Spoiler, MP3 Player, Remote Trunk Release, Privacy Glass, Steering Wheel Controls. PARKTRONIC W/ACTIVE PARKING ASSIST, BRUSHED ALUMINUM RUNNING BOARDS, KEYLESS GO®. Mercedes-Benz ML 350 with Iridium Silver Metallic exterior and Grey interior features a V6 Cylinder Engine with 302 HP at 6500 RPM*. Edmunds.com's review says The 2012 Mercedes-Benz M-Class sees plenty of key improvements, notably in performance, fuel efficiency and cabin ambience that should keep it fully competitive in the luxury SUV game..
Mercedes-Benz Certified. WAS $23,300, EPA 32 MPG Hwy/24 MPG City! GLA 250 trim, Jupiter Red exterior and Ash interior. Moonroof, Heated Seats, Full-Time 4MATIC® All-Wheel Drive, Turbo Charged Engine, Power Liftgate, Smart Device Integration, Onboard Communications System, iPod/MP3 Input, PANORAMA SUNROOF, BLIND SPOT ASSIST, REARVIEW CAMERA, BI-XENON HEADLAMPS, Aluminum Wheels, HEATED FRONT SEATS, harman/kardon® PREMIUM SOUND SYSTEM. CLICK NOW! KEY FEATURES INCLUDE Full-Time 4MATIC® All-Wheel Drive, Power Liftgate, Turbocharged, iPod/MP3 Input, Onboard Communications System, Aluminum Wheels, Smart Device Integration Rear Spoiler, MP3 Player, Keyless Entry, Remote Trunk Release, Child Safety Locks. OPTION PACKAGES PANORAMA SUNROOF, BI-XENON HEADLAMPS, harman/kardon® PREMIUM SOUND SYSTEM, HEATED FRONT SEATS, BLIND SPOT ASSIST, REARVIEW CAMERA. Mercedes-Benz GLA 250 with Jupiter Red exterior and Ash interior features a 4 Cylinder Engine with 208 HP at 5500 RPM*. 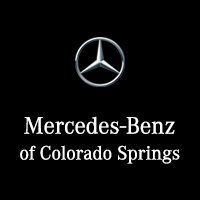 EXCELLENT VALUE Balance of New Car Warranty plus 1 year/unlimited miles extended Limited Warranty, 24-Hour Roadside Assistance, Carfax Vehicle History Report, NO Deductible, Rigorous Inspection by Factory Certified Technicians, Exchange Privilege for 7 days or 500 miles, whichever comes first, Trip-Interruption Services VISIT US TODAY Welcome to Mercedes-Benz of Colorado Springs. Thank you for taking a moment to view this vehicle. We are one click away for a live chat, send an email, call or visit in person. Whether you are visiting to gather information, search for a new or pre-owned vehicle, we hope to provide the highest level of assistance. Please feel free to request additional information or set up an appointment. We're here to make your shopping simple. Horsepower calculations based on trim engine configuration. Fuel economy calculations based on original manufacturer data for trim engine configuration. Please confirm the accuracy of the included equipment by calling us prior to purchase. Offer is valid through 2019-04-25.Mercedes-Benz Certified. WAS $23,300, EPA 32 MPG Hwy/24 MPG City! GLA 250 trim, Jupiter Red exterior and Ash interior. Moonroof, Heated Seats, Full-Time 4MATIC® All-Wheel Drive, Turbo Charged Engine, Power Liftgate, Smart Device Integration, Onboard Communications System, iPod/MP3 Input, PANORAMA SUNROOF, BLIND SPOT ASSIST, REARVIEW CAMERA, BI-XENON HEADLAMPS, Aluminum Wheels, HEATED FRONT SEATS, harman/kardon® PREMIUM SOUND SYSTEM. CLICK NOW! Full-Time 4MATIC® All-Wheel Drive, Power Liftgate, Turbocharged, iPod/MP3 Input, Onboard Communications System, Aluminum Wheels, Smart Device Integration Rear Spoiler, MP3 Player, Keyless Entry, Remote Trunk Release, Child Safety Locks. PANORAMA SUNROOF, BI-XENON HEADLAMPS, harman/kardon® PREMIUM SOUND SYSTEM, HEATED FRONT SEATS, BLIND SPOT ASSIST, REARVIEW CAMERA. Mercedes-Benz GLA 250 with Jupiter Red exterior and Ash interior features a 4 Cylinder Engine with 208 HP at 5500 RPM*. We've only recently received this vehicle, and it's currently undergoing a rigorous inspection process to ensure that only the best, hand-picked vehicles are allowed on our lot. If you hurry, you can see it before anyone else - schedule your test drive today! All vehicles come with a vehicle history report. (PL107)Offer is valid through 2019-04-25.We've only recently received this vehicle, and it's currently undergoing a rigorous inspection process to ensure that only the best, hand-picked vehicles are allowed on our lot. If you hurry, you can see it before anyone else - schedule your test drive today! All vehicles come with a vehicle history report. (PL107)Offer is valid through 2019-04-25. CARFAX 1-Owner, Mercedes-Benz Certified, GREAT MILES 33,715! Cirrus White exterior and Black interior, GLA 250 trim. PRICE DROP FROM $28,300, FUEL EFFICIENT 32 MPG Hwy/24 MPG City! Sunroof, iPod/MP3 Input, CD Player, Flex Fuel, Dual Zone A/C, Keyless Start, Onboard Communications System, Power Liftgate, PANORAMA SUNROOF, BLIND SPOT ASSIST, REARVIEW CAMERA, Full-Time 4MATIC® All-Wheel Drive, Turbo, Alloy Wheels. READ MORE! KEY FEATURES INCLUDE Full-Time 4MATIC® All-Wheel Drive, Power Liftgate, Turbocharged, Flex Fuel, iPod/MP3 Input, CD Player, Onboard Communications System, Aluminum Wheels, Keyless Start, Dual Zone A/C, Smart Device Integration. Rear Spoiler, MP3 Player, Remote Trunk Release, Keyless Entry, Child Safety Locks. OPTION PACKAGES PANORAMA SUNROOF, BLIND SPOT ASSIST, REARVIEW CAMERA. VEHICLE REVIEWS Great Gas Mileage: 32 MPG Hwy. BUY WITH CONFIDENCE CARFAX 1-Owner Balance of New Car Warranty plus 1 year/unlimited miles extended Limited Warranty, 24-Hour Roadside Assistance, Carfax Vehicle History Report, NO Deductible, Rigorous Inspection by Factory Certified Technicians, Exchange Privilege for 7 days or 500 miles, whichever comes first, Trip-Interruption Services VISIT US TODAY Welcome to Mercedes-Benz of Colorado Springs. Thank you for taking a moment to view this vehicle. We are one click away for a live chat, send an email, call or visit in person. Whether you are visiting to gather information, search for a new or pre-owned vehicle, we hope to provide the highest level of assistance. Please feel free to request additional information or set up an appointment. We're here to make your shopping simple. Pricing analysis performed on 4/23/2019. Horsepower calculations based on trim engine configuration. Fuel economy calculations based on original manufacturer data for trim engine configuration. Please confirm the accuracy of the included equipment by calling us prior to purchase. Offer is valid through 2019-04-25.CARFAX 1-Owner, Mercedes-Benz Certified, GREAT MILES 33,715! Cirrus White exterior and Black interior, GLA 250 trim. PRICE DROP FROM $28,300, FUEL EFFICIENT 32 MPG Hwy/24 MPG City! Sunroof, iPod/MP3 Input, CD Player, Flex Fuel, Dual Zone A/C, Keyless Start, Onboard Communications System, Power Liftgate, PANORAMA SUNROOF, BLIND SPOT ASSIST, REARVIEW CAMERA, Full-Time 4MATIC® All-Wheel Drive, Turbo, Alloy Wheels. READ MORE! Full-Time 4MATIC® All-Wheel Drive, Power Liftgate, Turbocharged, Flex Fuel, iPod/MP3 Input, CD Player, Onboard Communications System, Aluminum Wheels, Keyless Start, Dual Zone A/C, Smart Device Integration. Rear Spoiler, MP3 Player, Remote Trunk Release, Keyless Entry, Child Safety Locks. PANORAMA SUNROOF, BLIND SPOT ASSIST, REARVIEW CAMERA. Polar Silver Metallic exterior and Ash interior, GLA 250 trim. EPA 32 MPG Hwy/24 MPG City! Mercedes-Benz Certified, CARFAX 1-Owner, LOW MILES - 33,986! Heated Seats, Sunroof, Full-Time 4MATIC® All-Wheel Drive, Power Liftgate, Flex Fuel, Dual Zone A/C, Onboard Communications System, iPod/MP3 Input, RADIO: harman/kardon® LOGIC 7 AUDIO SY... PANORAMA SUNROOF, BLIND SPOT ASSIST, HEATED FRONT SEATS, Turbo Charged, Alloy Wheels, KEYLESS GO®. SEE MORE! KEY FEATURES INCLUDE Full-Time 4MATIC® All-Wheel Drive, Power Liftgate, Turbocharged, Flex Fuel, iPod/MP3 Input, Onboard Communications System, Aluminum Wheels, Dual Zone A/C, Smart Device Integration Rear Spoiler, MP3 Player, Remote Trunk Release, Child Safety Locks, Steering Wheel Controls. OPTION PACKAGES PANORAMA SUNROOF, RADIO: harman/kardon® LOGIC 7 AUDIO SYSTEM Dolby 5.1, HEATED FRONT SEATS, KEYLESS GO®, BLIND SPOT ASSIST. BUY WITH CONFIDENCE Balance of New Car Warranty plus 1 year/unlimited miles extended Limited Warranty, 24-Hour Roadside Assistance, Carfax Vehicle History Report, NO Deductible, Rigorous Inspection by Factory Certified Technicians, Exchange Privilege for 7 days or 500 miles, whichever comes first, Trip-Interruption Services WHO WE ARE Welcome to Mercedes-Benz of Colorado Springs. Thank you for taking a moment to view this vehicle. We are one click away for a live chat, send an email, call or visit in person. Whether you are visiting to gather information, search for a new or pre-owned vehicle, we hope to provide the highest level of assistance. Please feel free to request additional information or set up an appointment. We're here to make your shopping simple. Pricing analysis performed on 3/26/2019. Horsepower calculations based on trim engine configuration. Fuel economy calculations based on original manufacturer data for trim engine configuration. Please confirm the accuracy of the included equipment by calling us prior to purchase. Offer is valid through 2019-04-25.Polar Silver Metallic exterior and Ash interior, GLA 250 trim. EPA 32 MPG Hwy/24 MPG City! Mercedes-Benz Certified, CARFAX 1-Owner, LOW MILES - 33,986! Heated Seats, Sunroof, Full-Time 4MATIC® All-Wheel Drive, Power Liftgate, Flex Fuel, Dual Zone A/C, Onboard Communications System, iPod/MP3 Input, RADIO: harman/kardon® LOGIC 7 AUDIO SY... PANORAMA SUNROOF, BLIND SPOT ASSIST, HEATED FRONT SEATS, Turbo Charged, Alloy Wheels, KEYLESS GO®. SEE MORE! Full-Time 4MATIC® All-Wheel Drive, Power Liftgate, Turbocharged, Flex Fuel, iPod/MP3 Input, Onboard Communications System, Aluminum Wheels, Dual Zone A/C, Smart Device Integration Rear Spoiler, MP3 Player, Remote Trunk Release, Child Safety Locks, Steering Wheel Controls. PANORAMA SUNROOF, RADIO: harman/kardon® LOGIC 7 AUDIO SYSTEM Dolby 5.1, HEATED FRONT SEATS, KEYLESS GO®, BLIND SPOT ASSIST. Mercedes-Benz Certified, CARFAX 1-Owner, ONLY 30,279 Miles! WAS $29,300, FUEL EFFICIENT 32 MPG Hwy/24 MPG City! Mountain Gray Metallic exterior and Ash interior, GLA 250 trim. Sunroof, Heated Seats, Power Liftgate, Full-Time 4MATIC® All-Wheel Drive, Smart Device Integration, Onboard Communications System, iPod/MP3 Input, Turbo Charged, PANORAMA SUNROOF, BLIND SPOT ASSIST, REARVIEW CAMERA, Alloy Wheels, HEATED FRONT SEATS, harman/kardon® PREMIUM SOUND SYSTEM. READ MORE! KEY FEATURES INCLUDE Full-Time 4MATIC® All-Wheel Drive, Power Liftgate, Turbocharged, iPod/MP3 Input, Onboard Communications System, Aluminum Wheels, Smart Device Integration. Rear Spoiler, MP3 Player, Keyless Entry, Remote Trunk Release, Steering Wheel Controls. OPTION PACKAGES PANORAMA SUNROOF, harman/kardon® PREMIUM SOUND SYSTEM, HEATED FRONT SEATS, BLIND SPOT ASSIST, REARVIEW CAMERA. VEHICLE REVIEWS Great Gas Mileage: 32 MPG Hwy. PURCHASE WITH CONFIDENCE Balance of New Car Warranty plus 1 year/unlimited miles extended Limited Warranty, 24-Hour Roadside Assistance, Carfax Vehicle History Report, NO Deductible, Rigorous Inspection by Factory Certified Technicians, Exchange Privilege for 7 days or 500 miles, whichever comes first, Trip-Interruption Services WHO WE ARE Welcome to Mercedes-Benz of Colorado Springs. Thank you for taking a moment to view this vehicle. We are one click away for a live chat, send an email, call or visit in person. Whether you are visiting to gather information, search for a new or pre-owned vehicle, we hope to provide the highest level of assistance. Please feel free to request additional information or set up an appointment. We're here to make your shopping simple. Horsepower calculations based on trim engine configuration. Fuel economy calculations based on original manufacturer data for trim engine configuration. Please confirm the accuracy of the included equipment by calling us prior to purchase. Offer is valid through 2019-04-25.Mercedes-Benz Certified, CARFAX 1-Owner, ONLY 30,279 Miles! WAS $29,300, FUEL EFFICIENT 32 MPG Hwy/24 MPG City! Mountain Gray Metallic exterior and Ash interior, GLA 250 trim. Sunroof, Heated Seats, Power Liftgate, Full-Time 4MATIC® All-Wheel Drive, Smart Device Integration, Onboard Communications System, iPod/MP3 Input, Turbo Charged, PANORAMA SUNROOF, BLIND SPOT ASSIST, REARVIEW CAMERA, Alloy Wheels, HEATED FRONT SEATS, harman/kardon® PREMIUM SOUND SYSTEM. READ MORE! Full-Time 4MATIC® All-Wheel Drive, Power Liftgate, Turbocharged, iPod/MP3 Input, Onboard Communications System, Aluminum Wheels, Smart Device Integration. Rear Spoiler, MP3 Player, Keyless Entry, Remote Trunk Release, Steering Wheel Controls. PANORAMA SUNROOF, harman/kardon® PREMIUM SOUND SYSTEM, HEATED FRONT SEATS, BLIND SPOT ASSIST, REARVIEW CAMERA. Mercedes-Benz Certified, CARFAX 1-Owner. FUEL EFFICIENT 31 MPG Hwy/23 MPG City! GLA 250 trim, Cirrus White exterior and Black interior. Onboard Communications System, CD Player, Remote Engine Start, Smart Device Integration, Dual Zone A/C, Full-Time 4MATIC® All-Wheel Drive, Aluminum Wheels, Power Liftgate, iPod/MP3 Input, Flex Fuel. CLICK ME! KEY FEATURES INCLUDE Full-Time 4MATIC® All-Wheel Drive, Power Liftgate, Flex Fuel, iPod/MP3 Input, CD Player, Onboard Communications System, Aluminum Wheels, Remote Engine Start, Dual Zone A/C, Smart Device Integration. Rear Spoiler, MP3 Player, Keyless Entry, Remote Trunk Release, Child Safety Locks. Mercedes-Benz GLA 250 with Cirrus White exterior and Black interior features a 4 Cylinder Engine. EXPERTS REPORT Both the GLA 250 and AMG® GLA 45 boast powerful engines that achieve good real-world fuel economy given their levels of performance. -Edmunds.com. Great Gas Mileage: 31 MPG Hwy. BUY WITH CONFIDENCE Balance of New Car Warranty plus 1 year/unlimited miles extended Limited Warranty, 24-Hour Roadside Assistance, Carfax Vehicle History Report, NO Deductible, Rigorous Inspection by Factory Certified Technicians, Exchange Privilege for 7 days or 500 miles, whichever comes first, Trip-Interruption Services MORE ABOUT US Welcome to Mercedes-Benz of Colorado Springs. Thank you for taking a moment to view this vehicle. We are one click away for a live chat, send an email, call or visit in person. Whether you are visiting to gather information, search for a new or pre-owned vehicle, we hope to provide the highest level of assistance. Please feel free to request additional information or set up an appointment. We're here to make your shopping simple. Fuel economy calculations based on original manufacturer data for trim engine configuration. Please confirm the accuracy of the included equipment by calling us prior to purchase. Offer is valid through 2019-04-25.Mercedes-Benz Certified, CARFAX 1-Owner. FUEL EFFICIENT 31 MPG Hwy/23 MPG City! GLA 250 trim, Cirrus White exterior and Black interior. Onboard Communications System, CD Player, Remote Engine Start, Smart Device Integration, Dual Zone A/C, Full-Time 4MATIC® All-Wheel Drive, Aluminum Wheels, Power Liftgate, iPod/MP3 Input, Flex Fuel. CLICK ME! Full-Time 4MATIC® All-Wheel Drive, Power Liftgate, Flex Fuel, iPod/MP3 Input, CD Player, Onboard Communications System, Aluminum Wheels, Remote Engine Start, Dual Zone A/C, Smart Device Integration. Rear Spoiler, MP3 Player, Keyless Entry, Remote Trunk Release, Child Safety Locks. Mercedes-Benz GLA 250 with Cirrus White exterior and Black interior features a 4 Cylinder Engine. Both the GLA 250 and AMG® GLA 45 boast powerful engines that achieve good real-world fuel economy given their levels of performance. -Edmunds.com. Great Gas Mileage: 31 MPG Hwy. GLC 300 trim, Selenite Grey Metallic exterior and Black interior. WAS $36,300, EPA 28 MPG Hwy/21 MPG City! Mercedes-Benz Certified, CARFAX 1-Owner, GREAT MILES 24,911! Heated Seats, CD Player, iPod/MP3 Input, Onboard Communications System, Dual Zone A/C, Keyless Start, Back-Up Camera, Alloy Wheels, HEATED FRONT SEATS, Turbo, Power Liftgate, Full-Time 4MATIC® All-Wheel Drive. SEE MORE! KEY FEATURES INCLUDE Full-Time 4MATIC® All-Wheel Drive, Power Liftgate, Back-Up Camera, Turbocharged, iPod/MP3 Input, CD Player, Onboard Communications System, Aluminum Wheels, Keyless Start, Dual Zone A/C, Smart Device Integration. MP3 Player, Remote Trunk Release, Keyless Entry, Privacy Glass, Child Safety Locks. OPTION PACKAGES HEATED FRONT SEATS. Mercedes-Benz GLC 300 with Selenite Grey Metallic exterior and Black interior features a 4 Cylinder Engine with 241 HP at 5500 RPM*. VEHICLE REVIEWS Great Gas Mileage: 28 MPG Hwy. SHOP WITH CONFIDENCE Balance of New Car Warranty plus 1 year/unlimited miles extended Limited Warranty, 24-Hour Roadside Assistance, Carfax Vehicle History Report, NO Deductible, Rigorous Inspection by Factory Certified Technicians, Exchange Privilege for 7 days or 500 miles, whichever comes first, Trip-Interruption Services VISIT US TODAY Welcome to Mercedes-Benz of Colorado Springs. Thank you for taking a moment to view this vehicle. We are one click away for a live chat, send an email, call or visit in person. Whether you are visiting to gather information, search for a new or pre-owned vehicle, we hope to provide the highest level of assistance. Please feel free to request additional information or set up an appointment. We're here to make your shopping simple. Horsepower calculations based on trim engine configuration. Fuel economy calculations based on original manufacturer data for trim engine configuration. Please confirm the accuracy of the included equipment by calling us prior to purchase. Offer is valid through 2019-04-25.GLC 300 trim, Selenite Grey Metallic exterior and Black interior. WAS $36,300, EPA 28 MPG Hwy/21 MPG City! Mercedes-Benz Certified, CARFAX 1-Owner, GREAT MILES 24,911! Heated Seats, CD Player, iPod/MP3 Input, Onboard Communications System, Dual Zone A/C, Keyless Start, Back-Up Camera, Alloy Wheels, HEATED FRONT SEATS, Turbo, Power Liftgate, Full-Time 4MATIC® All-Wheel Drive. SEE MORE! Full-Time 4MATIC® All-Wheel Drive, Power Liftgate, Back-Up Camera, Turbocharged, iPod/MP3 Input, CD Player, Onboard Communications System, Aluminum Wheels, Keyless Start, Dual Zone A/C, Smart Device Integration. MP3 Player, Remote Trunk Release, Keyless Entry, Privacy Glass, Child Safety Locks. HEATED FRONT SEATS. Mercedes-Benz GLC 300 with Selenite Grey Metallic exterior and Black interior features a 4 Cylinder Engine with 241 HP at 5500 RPM*. CARFAX 1-Owner, Mercedes-Benz Certified. GLE 350 trim, Polar White exterior and Ginger Beige/Espresso interior. JUST REPRICED FROM $39,300. Heated Seats, Moonroof, Power Liftgate, Back-Up Camera, iPod/MP3 Input, Keyless Start, Onboard Communications System, harman/kardon® LOGIC 7 SURROUND SOUND.. TRAILER HITCH, HEATED STEERING WHEEL, Full-Time 4MATIC® All-Wheel Drive, Aluminum Wheels, Trailer Hitch. CLICK ME! KEY FEATURES INCLUDE Sunroof, Full-Time 4MATIC® All-Wheel Drive, Power Liftgate, Heated Driver Seat, Back-Up Camera, iPod/MP3 Input, Onboard Communications System, Aluminum Wheels, Keyless Start, Dual Zone A/C, WiFi Hotspot, Heated Seats Rear Spoiler, MP3 Player, Remote Trunk Release, Privacy Glass, Keyless Entry. OPTION PACKAGES harman/kardon® LOGIC 7 SURROUND SOUND SYSTEM, TRAILER HITCH, HEATED STEERING WHEEL. Mercedes-Benz GLE 350 with Polar White exterior and Ginger Beige/Espresso interior features a V6 Cylinder Engine with 302 HP at 6500 RPM*. PURCHASE WITH CONFIDENCE CARFAX 1-Owner Balance of New Car Warranty plus 1 year/unlimited miles extended Limited Warranty, 24-Hour Roadside Assistance, Carfax Vehicle History Report, NO Deductible, Rigorous Inspection by Factory Certified Technicians, Exchange Privilege for 7 days or 500 miles, whichever comes first, Trip-Interruption Services MORE ABOUT US Welcome to Mercedes-Benz of Colorado Springs. Thank you for taking a moment to view this vehicle. We are one click away for a live chat, send an email, call or visit in person. Whether you are visiting to gather information, search for a new or pre-owned vehicle, we hope to provide the highest level of assistance. Please feel free to request additional information or set up an appointment. We're here to make your shopping simple. Horsepower calculations based on trim engine configuration. Please confirm the accuracy of the included equipment by calling us prior to purchase. Offer is valid through 2019-04-25.CARFAX 1-Owner, Mercedes-Benz Certified. GLE 350 trim, Polar White exterior and Ginger Beige/Espresso interior. JUST REPRICED FROM $39,300. Heated Seats, Moonroof, Power Liftgate, Back-Up Camera, iPod/MP3 Input, Keyless Start, Onboard Communications System, harman/kardon® LOGIC 7 SURROUND SOUND.. TRAILER HITCH, HEATED STEERING WHEEL, Full-Time 4MATIC® All-Wheel Drive, Aluminum Wheels, Trailer Hitch. CLICK ME! Sunroof, Full-Time 4MATIC® All-Wheel Drive, Power Liftgate, Heated Driver Seat, Back-Up Camera, iPod/MP3 Input, Onboard Communications System, Aluminum Wheels, Keyless Start, Dual Zone A/C, WiFi Hotspot, Heated Seats Rear Spoiler, MP3 Player, Remote Trunk Release, Privacy Glass, Keyless Entry. harman/kardon® LOGIC 7 SURROUND SOUND SYSTEM, TRAILER HITCH, HEATED STEERING WHEEL. Mercedes-Benz GLE 350 with Polar White exterior and Ginger Beige/Espresso interior features a V6 Cylinder Engine with 302 HP at 6500 RPM*. Mercedes-Benz Certified to UNLIMITED MILES, CARFAX 1-Owner, ONLY 39,362 Miles! REDUCED FROM $41,300!, EPA 29 MPG Hwy/22 MPG City! GLE 300d trim. Navigation, Heated Leather Seats, Sunroof, Diesel, Full-Time 4MATIC® All-Wheel Drive, Onboard Communications System, Power Liftgate, HEATED MULTIFUNCTION STEERING WHEEL, CONVENIENCE PACKAGE, CRYSTAL GREY/BLACK, LEATHER UPHOLSTER... WHEELS: 19 5-SPOKE, PREMIUM PACKAGE, 3-ZONE AUTOMATIC CLIMATE CONTROL. CLICK ME! KEY FEATURES INCLUDE Sunroof, Full-Time 4MATIC® All-Wheel Drive, Power Liftgate, Heated Driver Seat, Diesel, Onboard Communications System, Heated Seats Rear Spoiler, Privacy Glass, Remote Trunk Release, Child Safety Locks, Electronic Stability Control. OPTION PACKAGES PREMIUM PACKAGE: Radio: COMAND® System w/Navigation, 8 high resolution LCD screen w/3D map views, enhanced voice control system, 10GB music register, single disc CD/DVD player, Gracenote album information including cover art, SD card slot, SiriusXM traffic and SiriusXM weather w/, 115V AC Power Outlet, Single DVD Player, KEYLESS GO®, SIRIUS XM Satellite Radio, SiriusXM real-time traffic and SiriusXM weather (w/), Navigation Updates For 3 Years, Region Coding, CRYSTAL GREY/BLACK, LEATHER UPHOLSTERY, 3-ZONE AUTOMATIC CLIMATE CONTROL WHY BUY FROM US Welcome to Mercedes-Benz of Colorado Springs. Thank you for taking a moment to view this vehicle. We are one click away for a live chat, send an email, call or visit in person. Whether you are visiting to gather information, search for a new or pre-owned vehicle, we hope to provide the highest level of assistance. Please feel free to request additional information or set up an appointment. We're here to make your shopping simple. Pricing analysis performed on 4/14/2019. Horsepower calculations based on trim engine configuration. Fuel economy calculations based on original manufacturer data for trim engine configuration. Please confirm the accuracy of the included equipment by calling us prior to purchase. Offer is valid through 2019-04-25.Mercedes-Benz Certified to UNLIMITED MILES, CARFAX 1-Owner, ONLY 39,362 Miles! REDUCED FROM $41,300!, EPA 29 MPG Hwy/22 MPG City! GLE 300d trim. Navigation, Heated Leather Seats, Sunroof, Diesel, Full-Time 4MATIC® All-Wheel Drive, Onboard Communications System, Power Liftgate, HEATED MULTIFUNCTION STEERING WHEEL, CONVENIENCE PACKAGE, CRYSTAL GREY/BLACK, LEATHER UPHOLSTER... WHEELS: 19 5-SPOKE, PREMIUM PACKAGE, 3-ZONE AUTOMATIC CLIMATE CONTROL. CLICK ME! REDUCED FROM $41,300! CARFAX 1-Owner, Mercedes-Benz Certified, ONLY 35,039 Miles! Moonroof, Heated Seats, Power Liftgate, Full-Time 4MATIC® All-Wheel Drive, Flex Fuel, Dual Zone A/C, Onboard Communications System, iPod/MP3 Input, WHEELS: 20 AMG® 5-SPOKE TITANIUM GREY... TRAILER HITCH, HEATED MULTIFUNCTION STEERING WHEEL, harman/kardon® LOGIC 7 SURROUND SOUND.. Hitch, WHEELS: 20 AMG® 5-SPOKE TITANIUM GREY GLOSS-TURNED, BRUSHED ALUMINUM RUNNING BOARDS CLICK ME! KEY FEATURES INCLUDE Sunroof, Full-Time 4MATIC® All-Wheel Drive, Power Liftgate, Heated Driver Seat, Flex Fuel, iPod/MP3 Input, Onboard Communications System, Dual Zone A/C, Heated Seats Rear Spoiler, MP3 Player, Remote Trunk Release, Privacy Glass, Keyless Entry. OPTION PACKAGES harman/kardon® LOGIC 7 SURROUND SOUND SYSTEM, BRUSHED ALUMINUM RUNNING BOARDS, TRAILER HITCH 7200 lbs Class III towing capacity, HEATED MULTIFUNCTION STEERING WHEEL, WHEELS: 20 AMG® 5-SPOKE TITANIUM GREY GLOSS-TURNED Tires: P265/45R20. AFFORDABLE TO OWN Balance of New Car Warranty plus 1 year/unlimited miles extended Limited Warranty, 24-Hour Roadside Assistance, Carfax Vehicle History Report, NO Deductible, Rigorous Inspection by Factory Certified Technicians, Exchange Privilege for 7 days or 500 miles, whichever comes first, Trip-Interruption Services BUY FROM AN AWARD WINNING DEALER Welcome to Mercedes-Benz of Colorado Springs. Thank you for taking a moment to view this vehicle. We are one click away for a live chat, send an email, call or visit in person. Whether you are visiting to gather information, search for a new or pre-owned vehicle, we hope to provide the highest level of assistance. Please feel free to request additional information or set up an appointment. We're here to make your shopping simple. Pricing analysis performed on 4/23/2019. Horsepower calculations based on trim engine configuration. Please confirm the accuracy of the included equipment by calling us prior to purchase. Offer is valid through 2019-04-25.REDUCED FROM $41,300! CARFAX 1-Owner, Mercedes-Benz Certified, ONLY 35,039 Miles! Moonroof, Heated Seats, Power Liftgate, Full-Time 4MATIC® All-Wheel Drive, Flex Fuel, Dual Zone A/C, Onboard Communications System, iPod/MP3 Input, WHEELS: 20 AMG® 5-SPOKE TITANIUM GREY... TRAILER HITCH, HEATED MULTIFUNCTION STEERING WHEEL, harman/kardon® LOGIC 7 SURROUND SOUND.. Hitch, WHEELS: 20 AMG® 5-SPOKE TITANIUM GREY GLOSS-TURNED, BRUSHED ALUMINUM RUNNING BOARDS CLICK ME! Sunroof, Full-Time 4MATIC® All-Wheel Drive, Power Liftgate, Heated Driver Seat, Flex Fuel, iPod/MP3 Input, Onboard Communications System, Dual Zone A/C, Heated Seats Rear Spoiler, MP3 Player, Remote Trunk Release, Privacy Glass, Keyless Entry. harman/kardon® LOGIC 7 SURROUND SOUND SYSTEM, BRUSHED ALUMINUM RUNNING BOARDS, TRAILER HITCH 7200 lbs Class III towing capacity, HEATED MULTIFUNCTION STEERING WHEEL, WHEELS: 20 AMG® 5-SPOKE TITANIUM GREY GLOSS-TURNED Tires: P265/45R20. GLE 350 trim, Lunar Blue Metallic exterior and Espresso Brown interior. CARFAX 1-Owner, Mercedes-Benz Certified. Navigation, Sunroof, Heated Seats, Full-Time 4MATIC® All-Wheel Drive, Dual Zone A/C, WiFi Hotspot, Onboard Communications System, Power Liftgate, Alloy Wheels, harman/kardon® LOGIC 7 SURROUND SOUND.. PANORAMA SUNROOF, ILLUMINATED STAR, PREMIUM 1 PACKAGE, PARKING ASSIST PACKAGE, BRUSHED ALUMINUM RUNNING BOARDS. AND MORE! KEY FEATURES INCLUDE Full-Time 4MATIC® All-Wheel Drive, Power Liftgate, Heated Driver Seat, Onboard Communications System, Aluminum Wheels, Dual Zone A/C, WiFi Hotspot, Heated Seats. Rear Spoiler, Privacy Glass, Remote Trunk Release, Child Safety Locks, Steering Wheel Controls. OPTION PACKAGES PREMIUM 1 PACKAGE: Radio: COMAND® Navigation, 8 color display and map updates, 115V AC Power Outlet, Single DVD Player, KEYLESS GO®, Android Auto, Blind Spot Assist, Apple CarPlay, SiriusXM Satellite Radio, Smartphone Integration, Navigation Updates For 3 Years, Region Coding, PARKING ASSIST PACKAGE: Parking Package, Surround View System, Parking Pilot, PANORAMA SUNROOF, harman/kardon® LOGIC 7 SURROUND SOUND SYSTEM, BRUSHED ALUMINUM RUNNING BOARDS, ILLUMINATED STAR. SHOP WITH CONFIDENCE Balance of New Car Warranty plus 1 year/unlimited miles extended Limited Warranty, 24-Hour Roadside Assistance , Carfax Vehicle History Report , NO Deductible MORE ABOUT US Welcome to Mercedes-Benz of Colorado Springs. Thank you for taking a moment to view this vehicle. We are one click away for a live chat, send an email, call or visit in person. Whether you are visiting to gather information, search for a new or pre-owned vehicle, we hope to provide the highest level of assistance. Please feel free to request additional information or set up an appointment. We're here to make your shopping simple. Horsepower calculations based on trim engine configuration. Please confirm the accuracy of the included equipment by calling us prior to purchase. Offer is valid through 2019-04-25.GLE 350 trim, Lunar Blue Metallic exterior and Espresso Brown interior. CARFAX 1-Owner, Mercedes-Benz Certified. Navigation, Sunroof, Heated Seats, Full-Time 4MATIC® All-Wheel Drive, Dual Zone A/C, WiFi Hotspot, Onboard Communications System, Power Liftgate, Alloy Wheels, harman/kardon® LOGIC 7 SURROUND SOUND.. PANORAMA SUNROOF, ILLUMINATED STAR, PREMIUM 1 PACKAGE, PARKING ASSIST PACKAGE, BRUSHED ALUMINUM RUNNING BOARDS. AND MORE! Full-Time 4MATIC® All-Wheel Drive, Power Liftgate, Heated Driver Seat, Onboard Communications System, Aluminum Wheels, Dual Zone A/C, WiFi Hotspot, Heated Seats. Rear Spoiler, Privacy Glass, Remote Trunk Release, Child Safety Locks, Steering Wheel Controls. PREMIUM 1 PACKAGE: Radio: COMAND® Navigation, 8 color display and map updates, 115V AC Power Outlet, Single DVD Player, KEYLESS GO®, Android Auto, Blind Spot Assist, Apple CarPlay, SiriusXM Satellite Radio, Smartphone Integration, Navigation Updates For 3 Years, Region Coding, PARKING ASSIST PACKAGE: Parking Package, Surround View System, Parking Pilot, PANORAMA SUNROOF, harman/kardon® LOGIC 7 SURROUND SOUND SYSTEM, BRUSHED ALUMINUM RUNNING BOARDS, ILLUMINATED STAR.